(Newser) – The mosquito-borne Zika virus, believed to be causing a dangerous neurological condition in babies born to mothers who were infected with the virus while pregnant, will likely spread to almost every country in the Americas, WHO warns in a new statement. "Aedes mosquitoes—the main vector for Zika transmission—are present in all the region's countries except Canada and continental Chile," the statement reads. It goes on to explain that many people in South, Central, and North America haven't been exposed to the virus before and thus don't have immunity, so the virus is spreading quickly, CNN reports. There was a case of Zika virus happened n Calgary,Alberta, Canada Not understand why WHO said Canada will escape?? 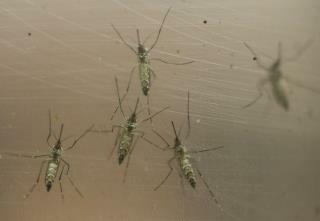 If Maine and Minnesota end up hosting this species of mosquito, so will Canada. WHO's predictions are based on flawed assumptions.